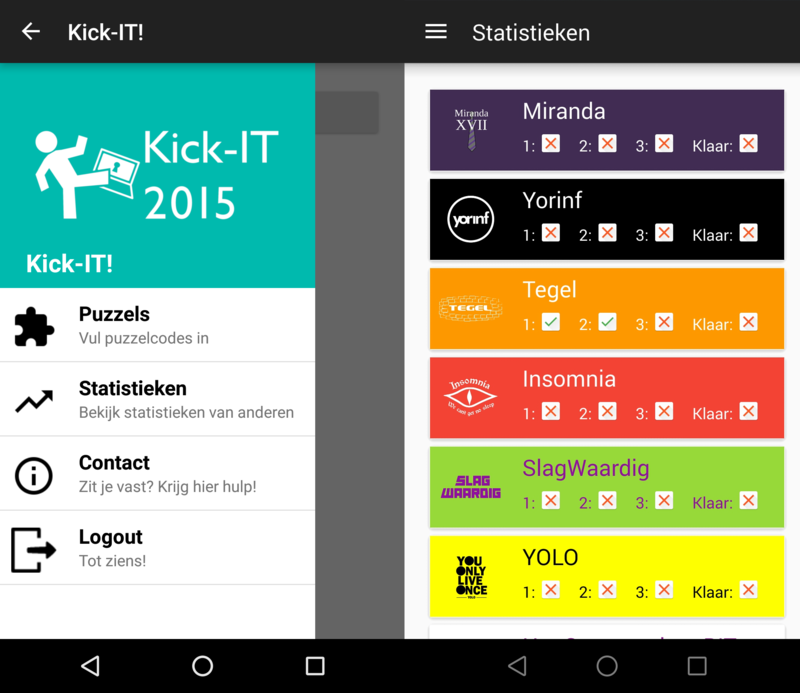 This is an android app I made for the introduction days of the University of Twente, for the faculty introduction. It allows participants to solve puzzles by filling in the puzzlecodes, and then directs them to the next location. The progress is synchronized to a server to allow the organisation to keep track of how far people are.